By gaining access to this website of Woudschoten Hotel & Conference Center as well as the materials and data contained herein, the following conditions (hereinafter referred to as ‘Disclaimer’) apply. We request that you read it carefully. By consulting and using this website (www.woudschoten.nl), you automatically agree with the content of this disclaimer, without prejudice to the applicability of the General Terms and Conditions of Woudschoten Hotel & Conference Center. In case of contradictions or inaccuracies between this disclaimer and the general terms and conditions of the products of Woudschoten Hotel & Conference Center, the general terms and conditions will prevail at all times. Woudschoten Hotel & Conference Center offers this website and the content “as is”. The information on this internet site is intended as general information. The information is not intended as a substitute for any advice. Decisions based on this information are for own account and risk. Woudschoten Hotel & Conference Center takes great care to provide information that is accurate, up-to-date and complete. Despite all the care in the composition of the content of its website, Woudschoten Hotel & Conference Center can not guarantee the correctness, topicality and completeness of the information provided. If you use this internet site from other countries, you are responsible for acting in accordance with the applicable local legislation. Woudschoten Hotel & Conference Center can not give any guarantees regarding the faultless or uninterrupted functioning of its website. Obviously, Woudschoten Hotel & Conference Center will make every effort to keep its website available to the user. The user of this website refrains from any activity that may affect the functioning of this website or the offered information or underlying software or is contrary to statutory provisions. Where the website refers to internet sites of third parties by means of hyperlinks, this does not imply that Woudschoten Hotel & Conference Center recommends the products or services offered via these internet sites. The use of these internet sites referred to is at your own risk and Woudschoten Hotel & Conference Center explicitly rejects any liability for the content, use or availability of such Internet sites. Woudschoten Hotel & Conference Center does not check the internet sites of third parties for accuracy, correctness, reasonableness, reliability and completeness. Woudschoten Hotel & Conference Center advises not to send confidential information (in any way) to Woudschoten Hotel & Conference Center by e-mail. Should you decide to do so, you should indicate in advance that you are aware of these risks and accept them as such. Woudschoten Hotel & Conference Center will, within the limits of reasonableness and fairness, endeavor to protect the confidential information of the website. However, Woudschoten Hotel & Conference Center does not accept any risk and liability with regard to shortcomings in the protection of confidential information. 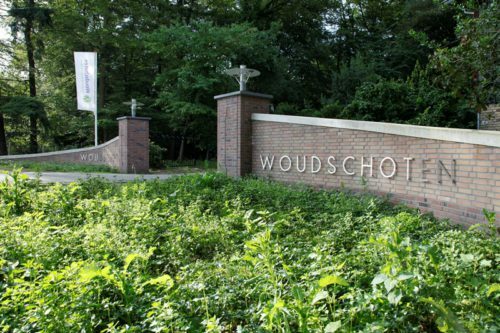 Woudschoten Hotel & Conference Center reserves all rights (including copyrights, trademark rights, patents or any other intellectual property right) in relation to information presented on the internet site (including texts, graphic images and logos). In addition to downloading and printing the displayed information for personal (personal) use, it is not allowed to copy, copy, multiply or copy the contents of this website without prior express written permission from Woudschoten Hotel & Conference Center. to distribute or make public. Woudschoten Hotel & Conference Center and its suppliers accept no liability whatsoever for direct or indirect damage, incidental or consequential damages, fines or immaterial damage including loss of profit that could arise in any way whatsoever from the use of this website. defects, viruses and other inadequacies due to equipment and other software related to the access to or use of this website. the interception, change or improper use of information that is sent to Woudschoten Hotel & Conference Center or to you. the functioning or not of this website. downloading or using software that is made available via this website. This exclusion also applies to the directors and staff members of Woudschoten Hotel & Conference Center. In the event of improper use of the website of Woudschoten Hotel & Conference Center, the website visitor is at all times liable for all direct or indirect damage resulting from this. Dutch law applies to this website and the disclaimer. Only a Dutch judge is authorized to rule on any disputes arising in connection with (the use of) this website and the information published thereon. Woudschoten Hotel & Conference Center reserves the right to change the information on this website (including the text of this disclaimer) at any time without further notice. It is advisable to consult the information provided via this website and this disclaimer on a regular basis so that you are aware of any changes.